and when the sign in the airport says "You Are Here," how does it know? How are we supposed to DO all this? Distractions. In the age of the iPhone push alert, they’re an ever-present part of life for many of us. Not a day goes by that I don’t log into Facebook to see one (or forty) of my author friends declaring that they’re turning off wifi so they can actually, you know, write. There are even computer programs that will block your access to the Internet at certain times of the day. While that feels a little too much like a challenge for my rebellious side, I have several friends who use them and sing their praises. I’m just as guilty as the next author of being pulled from my work-in-progress by something shiny on the Internet, but this week, the appeal of Facebook pales in comparison to my house. I have three children—10, 5, and 3. They are my light, and the best thing that ever happened to me. Hence, they are often the tallest hurdle between me and writing. I love my babies with the fire of ten thousand suns. Spending time with them makes me happy. 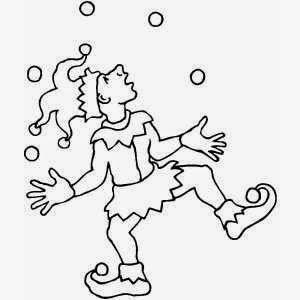 So it’s a constant juggling act, with lots of balls to keep in the air. Normally, I write in the morning after the older two have left for school and before the little one gets out of bed. And if something interferes with that, I can fit in 1,000 words or so at nap time, or in the evening after my hubby is through working for the day. This week is the perfect storm of mommy writer indecision in my house, y’all: I need to finish my new book in the next ten days. Writing isn’t a luxury right now: it’s a must. It is also Spring Break. My hubby is out of town. And that whole saying about the best laid plans? Yeah. They’re not working for me, either. My ten-year-old is very math-and-science-brained. She loves charts and graphs. I can already tell she’s going to be a spreadsheet person, just like her dad. Yesterday, she made a pretty poster we could use to check off my word count goal for the week in 500-word increments. We taped it to the kitchen wall. This morning, I came downstairs ready to open my laptop and knock off a couple of checkmarks before the children woke up. Then my BFF called with mommy worries about a super-feverish baby (the doctor couldn’t see him until 11), and by the time we’d talked through the childhood illness checklist, my littles were awake. Now, I’m pretty darned good at tuning out noise while I write. Years of working in a newsroom will do that to you. Scanners bleeping, sports guys tossing Nerf footballs and arguing about who has the best arm in whichever pro sports league is going at the moment, phones ringing, editors shouting: if you’re easily distracted, you never finish a story. I could get so lost in writing an article or designing a page my own phone could buzz with a transferred call and I wouldn’t notice until the receptionist walked to my desk and put her hand between my face and the screen. That’s a finely-honed ability to ignore, y’all. My children are enterprising, though. They adapt. The better I am at focusing on my work, the more they step up their game. My smallest one, who is so cute you just want to smother her with hugs all day long (I’m a teensy bit biased. But only a bit) has an internal timer. If I sit with my laptop for more than half an hour, she walks over and matter-of-factly closes it, with the sweetest smile you’ve ever seen. “Are you finished with your work, mommy?” she asks. While she belted out the final chorus, my son tripped over the dog (our dog weighs six pounds and is less than a foot long from nose to pointed tail. You’d almost have to try to trip over her) and vaulted his snow-cone cup into the air. Snow cone splattered all over the white Berber in our living room (inherited from the house’s previous owners, who obviously had no children). I’ve now set the computer aside, stripped the baby’s dress off, smiled at her singing, checked on the dog (she’s good. And so happy with her treat it makes me wonder if an instant replay wouldn’t show her slipping underfoot on purpose. She’s smart, that pooch), and scrubbed rainbow ice syrup out of the carpet. There you have mine for this morning. I’m thinking it’s going to be a coffee and writing after bedtime kind of night in the Walker house. What about you, Reds? How do you handle writing distractions? 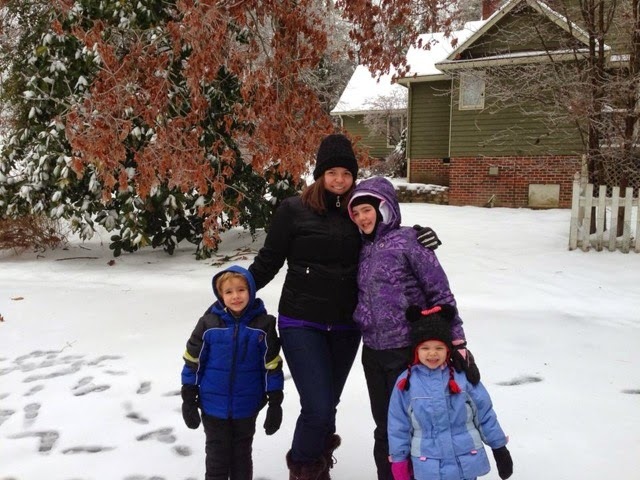 LD: And dear readers—how do you juggle work and family? When a superstar athlete's son turns up dead in a tiny town on the Virginia coast, crime reporter Nichelle Clarke gets the inside scoop. But she quickly spies a gaping hole her inner Lois Lane cannot ignore. LynDee Walker’s award-winning journalistic work has appeared in newspapers and magazines across the nation. After nearly a decade covering crime, courts, and local politics, she left full-time reporting for motherhood with a side of freelancing and fiction writing. LynDee’s debut novel, FRONT PAGE FATALITY, is an amazon and Barnes & Noble #1 bestseller, and an Agatha Award nominee for Best First Novel. 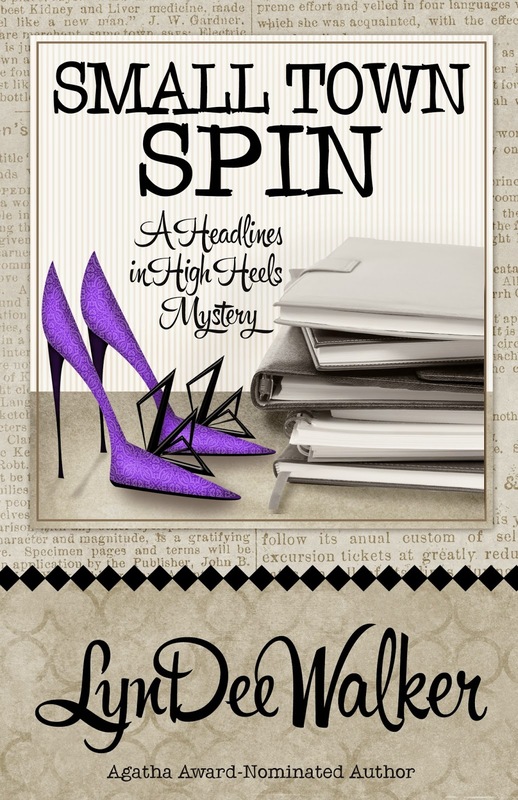 SMALL TOWN SPIN is the third in her Headlines in High Heels mystery series. The fourth arrives January 2015. LynDee adores her family, her readers, and enchiladas. She works out tricky plot points while walking off the enchiladas. She lives in Richmond, Virginia, where she is either playing with her children or working on her next novel—but probably not cleaning her house. 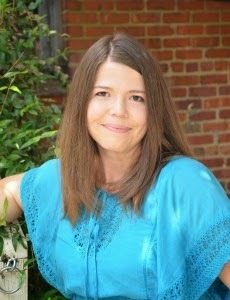 You can find her online at www.lyndeewalker.com. Juggling work and family . . . dealing with Little Ones is always preferable to work. Unfortunately, the Little Ones are no longer little and the grandbabies aren’t around nearly enough. But when they are, the work always waits. Priorities are everything, you know . . . .
“Small Town Spin” sounds like a perfect addition to my teetering to-be-read pile . . . . So Mark--can we talk about pinterest? I know Lucy is in it, and I am beginning..
Oops pushed publish too soon ...anyway what do you think of it? Oh yeah, Pinterest is a lovely distraction! And pets. Tonka is not quite as elegant as your baby, but he will stand and bark if he's ready to go and I'm not. And I love your daughter's word count spreadsheet--amazing! Hi, LynDee - congrats on the new book! Virginia must be gorgeous right now. Distractions. Right now my garden with its bumper crop of maple seedlings is a major distraction. Distractions that double as what my doctor calls "opportunistic exercise" are good. Also the birds. This is a great time of year to watch them gathering nest material and bullying their way into position at the bird bath. We have a pair of cardinals and a pair of blue jays plus a bumper crop of sparrows (house and song) and enormous ruddy robins. I love it. I agree that being a mother is the best thing in the world for me. I try to remind myself to welcome those distractions because before long my kids will be so busy being teenagers they won't care if I'm in the room or not! Can't wait to meet you in person so we can talk motherly, writerly, and reporting things! I love the software that blocks me off the internet for whatever time period I set. It's called Freedom (appropriately) and it frees me from the distraction of even thinking about checking email or FB while I'm writing. I don't have to waste energy making myself NOT peek at email. Best $10 I ever spent! What a delightful and funny story you tell! When my kids were little and I was working full time, I didn't even attempt to finish my novel and wrote only short stories for a decade or so, so good on you for sticking with it. My only distraction these days is the sawing, hammering, music, and cursing that goes on downstairs (sometimes in the hall right outside my home office) as my boyfriend continues to rehab our house. Yesterday I gave up and went to the library, found a nice quiet table. Then discovered that the door a few feet away led directly to the children's room. Not a bit quieter, but I tuned it all out. This morning my distraction is a TV interview. Y'all wish me luck! Joan, thank you! I so hope you enjoy it! Mark, so glad I could make you laugh. Ah, the time vortex that is Pinterest. Lucy, she's a pretty amazing kid, all bias aside. She asked for Donations to the American Heart Association for her birthday this year. Kristi, it's a date! Bouchercon, yes? I agree--they grow SO fast. It scares me sometimes. Laura, I can definitely see your point. I fear I'd resent it so that I'd spend all my time trying to figure out a way around it. Thanks so much for joining me today, y'all! Little kids, I don't know how anyone gets anything done with little kids around. I say this even though I had little kids (twin boys, mind you) and I got lots of stuff done, and in retrospect, I am amazed at myself. I guess I just did it, somehow, because I really wanted to get it done. I have decided that calling FB, Twitter, blogs, etc., a distraction is self-defeating. I'm going to be here/there, so it's a choice. I'm doing my social media thing for an hour, guilt-free. It's a decision, so you are mentally off the hook. Last week I had the opportunity to see Matthew Quick, who wrote Silver Linings Playbook. FABULOUS talk. He spoke about doing your #1 thing first. Literally, first thing in the morning before anything else. After that, guilt free doing whatever you need or want. He didn't mention how to juggle little kids though. I don't think anyone has the answer to that, but good luck, LynDee! It sounds like your attitude about interruptions is on target. You really can't stop children from acting like children. oh, LynDee, you have put a huge smile on my face to start my day - Thank You. What a lovely, sweet and funny piece you've shared with us. Distractions? oh my - this is something I have got to come to terms with. Soon. If I don't have any, I'm starting to make them up. Not good. I will buy your book immediately if you promise to stop melting my computer with your energy. An alternative would be to send me the recipe—as long as it doesn't involve having more children. Ramona, that's so interesting about doing the number one thing first. I get it, but I'm not sure I agree. I think ti depends on what works. Just musing about this..sometimes if I say--I'm going to start writing at, like two, and before that I'm going to accomplish as much other stuff as I can, but at 2 I will stop--that really seems to work. Because I can write without thinking--oh, I forgot to post on Facebook. OH, I forgot to answer that email. I've found that cloning works. I just haven't figured out how many "me" it takes! LynDee, congratulations on the new book (I've greatly enjoyed the others)! I don't know how you all do it with kids. I have a full time job and an undemanding husband, and I still can't get it all done. I like the cloning idea though. Will, perfect. We love you. And Tammy, seriously, I know. Adding kids to the equation is simply superhuman. Hank, re: the #1 thing, first thing. I think it depends on personality, as well as your life schedule. I was in the Sprint habit--1 hour, 1000 words--for a while, first thing in the morning. It was great. I had my personal writing for the day done by 8 or 9 a.m. and could go on to work-work with a clear mind. I had to disrupt it for teaching classes, but I'm right back to Sprinting next week and hope to stay there all summer. Works for me! LynDee--Thanks for the laugh to start the day and congratulations on your new book! My kiddo is a teenager now, which brings a whole different set of distractions! I'm pretty decent with distractions at my day job. Start with email/FB/Twitter check. Work for an hour. Take a break (blogs, internet). Go back to work. The noon writing hour is sacred. No internet, no social media. Just writing. Fridays are my "work at home" days. Usually they are very productive, as I'm home by myself. However, today the kids are on Easter break, the hubby took the day off, but I'm still working - so guess what's getting done? You got it - almost nothing. And it's not the Internet's fault. Can't wait to meet you in May! My niece's husband actually disconnected the internet connection for hours at a time to thwart her game addiction and get her back with the family -- it worked until their youngest showed her the switch "Daddy uses." Distractions were a constant while teaching, where every person with an intercom button felt free to interrupt our classes at any time, usually right at the moment we had managed to get most of our scholars engaged in a lesson. Once I responded to a request for a student with, "No, you can't have him. He's Ahab, and we need him." They left me alone for a while after that, and the student reading Ahab's part got to give his great final line. Phew! Interview done, and I didn't say anything stupid! Live TV makes me jittery. I don't know how our fabulous Hank does it every day—but it sure is fun! Ramona, That is SO TRUE. The days when I can put the bigger ones on the bus and then sit down and write before I do anything else are the days I get finished with "working" early. Kaye, thank you so much! I love that it made you smile. Hank, I like that idea for the days I can't get it all done! I'm going to try it. Possibly today. Libby, Oh, I could use a clone! an she go to the gym for me, too? Tammy, I'm so glad you like Nichelle and her friends! Thanks so much for coming by today. Julie, I am dreading those years. Tell me it's not as scary as I imagine. Mary, it's so easy, isn't it? It's hard for me to disconnect the internet when I'm writing, because I always have to look things up. And I love the "first thing first" theory, but it doesn't work for me. Like Hank, I have to do the "basics" first or I'm distracted all day; check email, check/post on JRW. I look at FB on my phone in the morning (Android Covers) and usually that's pretty much it unless I post on my public page. I try to break down "must do" things that aren't writing (call the contractor, make app. for dogs with vet, etc.) into chunks I can do when I'm taking a break. Best wishes with your deadlines -- and I can't wait to see you soon at Malice! HI Liz Mugavero! xoo Hi Gigi! xoo See you both soon. Yay. OH, LynDee, live TV makes me jittery, too. EVERY TIME. After 40 years. Mary-- "He's Ahab." Wonderful! I going to use that to get people to go away. They will have no idea what I'm talking about, but they will go away. I'm not sure what I think of it. I'm trying to pin stuff to draw a little more attention to my reviews, but so far I'm not having much success. Maybe if I spent more time there, but there are only so many hours in the day. When I worked I made lists in order of priority and trained the rest of the office to do the same with regards to me. Home is something else tho. . . A friend and I decided years ago that we both had adult ADD. We'd bounce from room to room trying to clean house and being distracted by little jobs everywhere. With the result that you couldn't tell we'd made any progress at all. I accept that my house is always going to look disorganized and so be it! When my son was small he added to the chaos of course. And usually in original ways. I have the greatest admiration for authors who are young mothers, writing with children in the mix. Kudos to you LynDee. I got a great chuckle out of your story, and had a horrifying visual of your son tripping over the dog and the snow cone landing on the white carpet. Sounds like you handled it in stride. 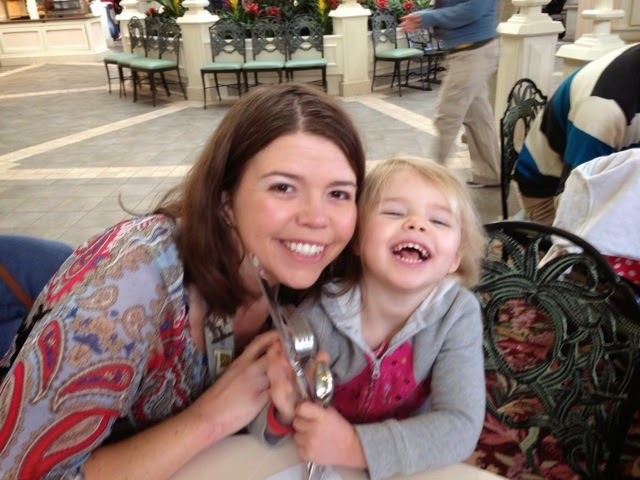 I agree with Debs that I would buy your book just based on how much you love your kids, with the expression you used. Aside from that, though, it sounds like a great read. Dear Hank, Pinterest is a boatload of fun, although I have somewhat distanced myself from it lately. It is highly addictive, and you can't just eat one of those Lays chips. I will go to Pinterest, mistakenly thinking I will spend a few minutes on it, but I always end up going through the whole page of new suggested pins for me, which takes a good hour anyway. You will spend time going to links, too. However, even with the knowledge that I will become immersed in the site, it is a great place to enjoy, and creating your boards for different subjects allows you to be quite creative. I love Lucy's Key West pins, and you can follow your favorite people or single boards of those people. I have more book boards than anything else, but I also have plenty of others, such as Goats Galore and Scottish Fetish. So far I have 9,940 pins. My Pinterest page is http://www.pinterest.com/kru2do/ Now, I'm sure I'll go obsess there for a while. Mark, I will have to check and make sure I'm following you, as well as following Hank. Back to LynDee and the Small Town Spin. I will be adding it to my TBR pile (or as Joan describes it, teetering TBR pile) and my Amazon wish list. LyndDee, your children are adorable, and I hope you have a fantastic Easter weekend with your sweeties. Just looked up Hank Phillippi Ryan on Pinterest, and it couldn't find you as a "pinner," but suggested I might try "Holidays, Corgis, Sneakers, or Pasta." LOL! Mark, I got a whole page of Mark Bakers that came up. And of course, Kathy, Corgis are just as good. Pasta, too. Thanks, Hank, for your Pinterest address. I need a note from you to explain that the reason I didn't get the house cleaned for Easter weekend is that you distracted me with Pinterest. Hehehe! To Whom it May Concern: Please excuse Kathy from any and all weekend responsibilities, including cooking, cleaning, silver polishing, potato peeling, taking out the trash, setting the table and centerpiece making. She will still be able to handle the candy. LynDee, caffeine is my perfect food Group. About doing the #1 thing first--my reaction is, that may be the luxury of being a man. Because it seems to fall to mom to pack the lunchbox and feed the dog and make peanut butter toast and let the cat back in. So though I'm an early riser, I don't have the ability to say: don't distract me until this chapter is done! If you see Mr. Quick, you can tell him I said so. I loved this, LynDee! I can sympathize, even though my kids are grown. My youngest is living with us again while he has started his new job and pays off his debts from being unemployed. Unfortunately, he teaches long days four days a week and has three-day weekends every weekend, and he and my husband want me to do things with them. Son won't be with us long and has been living out of town for eight years, so I'm inclined to give in every couple weeks to the detriment of my deadlines. LynDee, all I can say is that this too shall pass. Twenty years ago I was writing a book with two young children in the house, and my husband was on the other side of the country for a year. I told the girls to behave, try to get along, and please do not interrupt me unless someone was spurting blood. We all lived through it, amazingly. Best of all, they don't remember any of it. I understand your point on getting other things out of the way before you write. My approach varies depending on the day. Kind of "every word for itself," especially this week. Hope your writing time was great today! Hey, Gigi! I'm SO excited to see you at Malice, too. If I recall correctly, you have some deadlines of your own right now—good luck to you, too. See you in Bethesda! Pat—that line in my bio about "probably not cleaning her house?" Truth. Now, it's not dirty, but messy? Indeed. Unless we're hosting a party, it very much looks like three children live here. Nancy, I had the same thought! I know some wonderful dads, my hubby included, who are plenty of help in the mornings, but I wonder occasionally what it would be like to just get up and get myself ready for the day. I haven't done that in more than 10 years! Linda, thank you! I know I'm going to blink twice and turn around once and mine will be grown. Hand to God, K was a bitsy thing who needed scratch mittens five minutes ago. How does it fly so fast? I say enjoy your time with your son. The computer will still be there tomorrow. Karen, thanks so much for the reassuring words, and for coming by! Have a wonderful weekend! LynnDee..thank you! So lovely to see you here..and what a terrific day! Love to you all.and see you tomorrow! And we will post winners of the books, too! Hank, you are the cat's pajamas! I think I'm more distractable now. Is it the tech age or is it my age? ?